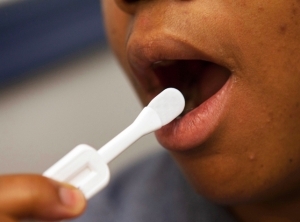 Home-testing kits for Human Immunodeficiency Virus (HIV) should be approved for use across the country to address the increase in cases among those born in sub-Saharan Africa and South East Asia, new research led by Curtin University has found. The report, Barriers to HIV testing among people born in sub-Saharan Africa and South East Asia, explores the barriers to HIV testing among people born in both regions to better understand the reasons for late diagnoses. Ms Gray said the research identified various barriers to accessing HIV testing, including a lack of awareness of at-risk groups or a fear of offending patients among GPs, patients not requesting tests, language or cross-cultural difficulties and HIV-related stigma. “Through this research, we have made recommendations aimed at addressing these barriers including home-testing kits being approved for use in Australia by the Therapeutic Goods Administration, universal access to HIV testing for Medicare ineligible people living with HIV, and expanding the availability of rapid HIV testing beyond gay and bisexual men,” she said. The research was based on interviews with 11 GPs and 11 focus groups with 77 participants across four Australian states who were born in various countries including Indonesia, Malaysia, South Sudan and Somalia.